Frequently Asked Questions - Family Law - Reed Law Firm, P.L.L.C. How can I get a legal separation in Virginia? Can I vacate the marital residence or will I be charged with abandonment? Can I make my spouse leave the house? How much can I expect to receive or pay in spousal support? How much can I expect to receive or pay in child support? Can I take the children with me if I leave the marital home? Can I take the children and leave the area? What factors will the court consider in determining custody of the children? Can I get a divorce if my spouse is in prison? Can I get a divorce if I don’t know where my spouse is located? Can I get a divorce in Virginia if my spouse does not agree to it? Can I get a divorce if my spouse lives out of state? What are examples of separate property? My spouse works. I won’t have to pay spousal support, will I? Virginia law does not use the term “legal separation.” When one spouse moves out of the marital home, with the intent to remain separate from the other spouse, that constitutes a separation for purposes of seeking a divorce. When the time comes for the divorce, your sworn testimony of when you separated, along with a corroborating witness to verify the date of separation, is all that is usually needed to establish your date of separation, unless it is in dispute. Some couples choose to enter into a written separation agreement that memorializes the date they separated, and also stipulates that the separation was by agreement of both parties. To speak with an attorney concerning drafting of a property settlement agreement, please contact us to schedule a consultation. Most divorces start with one person moving out of the marital residence, but there is a risk that the other spouse will claim desertion. A claim of desertion could affect your right to receive spousal support and/or your share of the marital property, and could be a factor in determining custody and visitation of the children. However, in most cases, the mere fact that one spouse moved out of the marital residence is insufficient to prove legal desertion or abandonment. In order to prove abandonment, the party making such a claim must prove by a preponderance of the evidence that the other spouse left with the intent to abandon. Abandonment is defined as one spouse leaving with the intent to never return. If you would like to speak with an attorney to discuss how moving out of the marital residence may affect your divorce, please contact us to schedule a consultation. It is difficult to force a spouse out of the marital home, absent incidents of domestic violence. Even if you pay the entire mortgage and/or rent and utilities, or the property is titled only in your name, or you owned it before the marriage, it is still considered a marital residence. In cases of domestic violence, you can seek a protective order which may force your spouse out of the home for up to two years. Once a divorce has been filed, you can seek exclusive use and possession of the home, but you must first have grounds for divorce, such as adultery, or physical and/or mental cruelty. If you would like to speak with an attorney to discuss how to request sole use and possession of the marital residence, please contact us to schedule a consultation. Spousal support (often called Alimony) is based on the income and needs of each party as well as a host of other factors, such as the length of the marriage, and standard of living established during the marriage. There is no set formula for calculating spousal support, although some counties established spousal support guidelines. If you would like to speak with an attorney to help you determine how much you should request or expect to pay in spousal support, please contact us to schedule a consultation. Child support is determined according to statutory guidelines, based on the incomes of both parents, taking into account the cost of daycare and health insurance premiums. In limited circumstances, a court can deviate from the presumptive amount of child support under the Virginia guidelines. An attorney can help you calculate the child support guideline amount, and also take into account special circumstances such as self-employment, support of other children, and shared custody arrangements. If you would like to speak with an attorney to help you determine how much you should request or expect to pay in child support, please contact us to schedule a consultation. This is a very difficult question that will have to be answered on a case by case basis. If you leave without the children, this may be considered abandonment of them. If you take the children with you, this may be seen as interfering with the other parent’s relationship with them. In every case you should do what is in the children’s best interest. If you have any questions about what is best in your situation, you should always talk to a lawyer first before making any decision. To speak with an attorney, please contact us to schedule a consultation. This is a tough question. It is best to seek the advice of a lawyer if you are contemplating leaving the area with your children, so that the facts of your situation can be analyzed from a legal standpoint. To speak with an attorney, please contact us to schedule a consultation. There are a number of factors that the court will consider in determining who should have custody of the minor children. 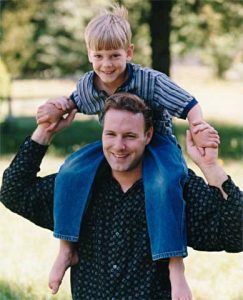 These include the age and physical and mental condition of each child and each parent, the relationship between child and parent, the needs of the child and each parent’s ability to meet those needs, the propensity of each parent to actively support the child’s relationship with the other parent, the reasonable preference of the child, and any history of family abuse. It is recommended that you hire an attorney to help you protect your interests in any custody and visitation proceedings. To speak with an attorney, please contact us to schedule a consultation. If your spouse is incarcerated you can still obtain a divorce, it just might take a little longer and can be more complicated. Because your incarcerated spouse is considered an “incapacitated person,” he or she is entitled to have a Guardian ad litem (GAL) appointed to protect his or her interests. A GAL is an attorney who will act on your spouse’s behalf to make sure his or her rights are protected in the divorce process. To speak with an attorney concerning issues related to obtaining a divorce from an incarcerated spouse, please contact us to schedule a consultation. You can still get a divorce, even if you do not know where your spouse is currently living. Legal notice must be done by publication in the newspaper. This is known as “service by publication.” An attorney can assist you with this process. To speak with an attorney to assist you with service by publication, please contact us to schedule a consultation. Yes, it is possible to obtain a divorce, regardless of how your spouse feels about it. Yes, there are methods available to get a divorce in this situation. Divorce cases can take anywhere from a few weeks to over one year, depending on the facts and circumstances, the level of acrimony between the parties, and the number of issues involved. If both parties are in agreement, and you have already been living separate and apart for the requisite time period, the entire divorce process could be done as quickly as within one month, although it usually takes a little longer. This is an uncontested divorce. If there are issues, such as child custody, support, or division of marital property, that need to be decided by a judge, the divorce could take a year or longer to work through the litigation process. This is a contested divorce. To discuss your unique situation and to assist you in determining whether your case is contested, please contact us to schedule a consultation. The cost of a divorce will vary widely depending on the facts and circumstances of the case, and what is involved. Every case is different. If it is determined that your case is an uncontested, no-fault divorce, we offer flat fee plans ranging from $1,200.00 to approximately $1,500 to complete the entire process. This fee does not include any costs which may be incurred, such as the cost of filing the divorce, and the cost of service by sheriff or private process server. However, these fees are low, and usually total less than $150.00. If there are contested issues that need to be decided by the court, you will usually need to make an initial retainer deposit, and the case will be billed by the hour. We send monthly invoice statements showing the work that has been done on your case, and the amount that has been billed against your account. If the case settles quickly, or does not expend your entire deposit, you will be refunded any amount remaining in your account. If the initial deposit is insufficient to cover the work, you may be asked to supplement your retainer balance. Contested divorces often end up costing more than the initial deposit. Depending on the number of contested issues, a contested divorce can be very expensive. However, we always strive to balance keeping your cost down while still providing you with excellent legal representation. The cost of litigation is one factor every client needs to consider when deciding how much certain things are worth fighting over in court. In some cases, attorney’s fees can be recovered from the other spouse, but this is discretionary with the court, depending upon the facts and circumstances of each particular case. To speak with an attorney to help you determine what it would cost to handle your case, please contact us to schedule a consultation. Virginia is an equitable distribution state. This means that the court divides marital property in a way that it believes is fair. Assets and debts are divided equitably. Not all property is considered marital property. The separate property of each spouse is not included in the property division. You are allowed to keep any separate property you own. The court looks at a number of factors in determining how to distribute marital property, as set forth in Virginia Code 20-107.3. To speak with an attorney concerning equitable distribution and how to protect your share of marital property, please contact us to schedule a consultation. If a spouse is just getting back into the job market, it generally will be at a lower rate of pay than the spouse who has worked during the whole marriage. Alimony is designed to somewhat equalize lifestyles, at least for the near term. This objective would hardly be met if the husband a significantly higher income has no obligation to help maintain his (ex-)wife who stayed at home, raised the kids, just recently got back into the job market. To speak with an attorney to estimate possible support obligations, please contact us to schedule a consultation. It is critical that you tell us all you know about your assets, as well as those of your spouse. The more we know, the more we will be able to help you. Property includes assets, as well as liabilities, real estate, and personal property, both tangible and intangible. Property can include houses, furniture, pensions, life insurance policies, annuities, retirement plans, businesses, coin collections — almost anything. It is very important that you provide your attorney with documents such as tax returns, pay stubs, credit cards bills, and any HUD-1 Settlement Statements from the purchase and/or refinance of the former marital residence.